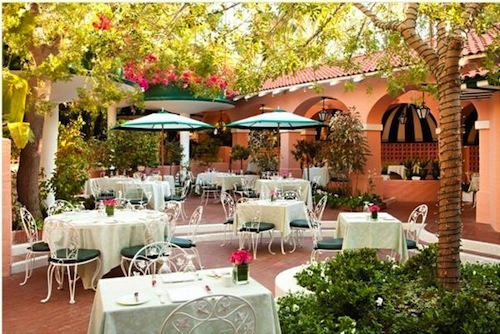 As steeped in history as Hollywood itself, the legendary Polo Lounge at Dorchester Collection’s Beverly Hills Hotel has been reintroduced after a two month restoration program. Led by acclaimed designer Adam Tihany, the subtle refresh to the Polo Lounge pays homage to its heritage and iconic design elements, further cementing its prominence as one of Hollywood’s most loved dining destinations. “The Beverly Hills is a dream project. I love this hotel. And it is so important that it continues to respect the spirit of the city” says designer Adam Tihany. “By maintaining much of the Polo Lounge’s beloved originality, we have not only kept the connection to the community but also enhanced it”. Although the Polo Lounge’s colour scheme has remained the same with the hotel’s familiar green and white stripes, fixtures and lighting were updated and new carpets and upholstery have been introduced. The addition of rich, dark panelling has renewed the décor and enhanced the cosy atmosphere of the restaurant. In the outdoor space, improved heating, sound systems, and lighting have made al fresco dining even more appealing. Flower settings, vintage lamps, and the introduction of Riedel glassware all add refreshing touches. Executive chef Kaleo Adams’ menu continues to offer the traditional American fare that guests have come to expect and enjoy, with delicate changes to presentation and service delivery that result in a more refined dining experience. Classic selections, including the McCarthy Salad, Tortilla Soup and Steak Tartar combine with new favorites such as the West Hollywood Salad. Afternoon tea complete with a ‘tea expert’ has been reintroduced on Friday and Saturday, and alcohol infused options such as The Earl Grey Cream Old Fashion has been added. Wine lists are now offered on iPads, enabling guests to visually select their wine of choice. The Polo Lounge’s popular live entertainment continues with a live jazz trio to accompany brunch on Sunday, guitar and vocal entertainment for dinner, and piano during lunch. “The Polo Lounge is lovingly referred to as ‘Hollywood’s commissary’ and will forever be a timeless fixture in the community” said Ed Mady, regional director, West Coast, USA and general manager. “We felt a tremendous responsibility to maintain much of its wonderful originality while also providing an enhanced and relevant dining experience to our countless regular guests and first-time visitors. The Polo Lounge is and always will be a very special place for generations of very special people”. As home to Hollywood royalty and the world’s rich and famous for decades, the Polo Lounge has a vivid history. Charlie Chaplin had a standing reservation for ‘Booth 1’ for decades, which remained empty if he didn’t show up. In the 1940’s, Marlene Dietrich, a frequent hotel guest and one-time resident, eradicated the “no slacks for women” dress code when she refused to wear a skirt in the Polo Lounge. And in 1972, H.R. Haldeman, White House chief of staff to President Richard Nixon, and John Ehrlichman, assistant to President Nixon for domestic affairs, learned of the Watergate break-in while breakfasting there. 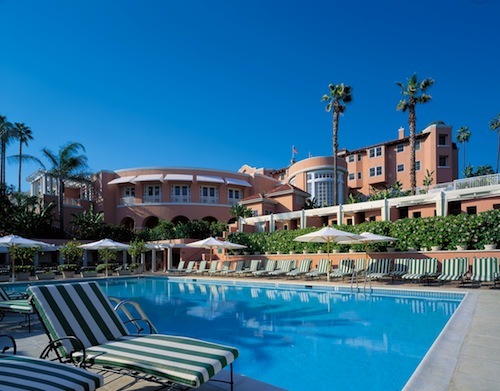 In addition to the new lobby and refreshed Polo Lounge, the hotel’s restoration program continues at the pool cabanas and Cabana Café, followed with all guestrooms and suites being updated by the summer of 2014. 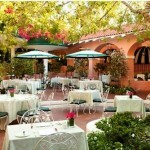 For further details, please visit www.beverlyhillshotel.com or, for reservations, call (001) 800-283-8885.